Construction of a drop lot was completed in late September 2017. Old Dominion Freight Line began using the drop lot the first weekend of October 2017. 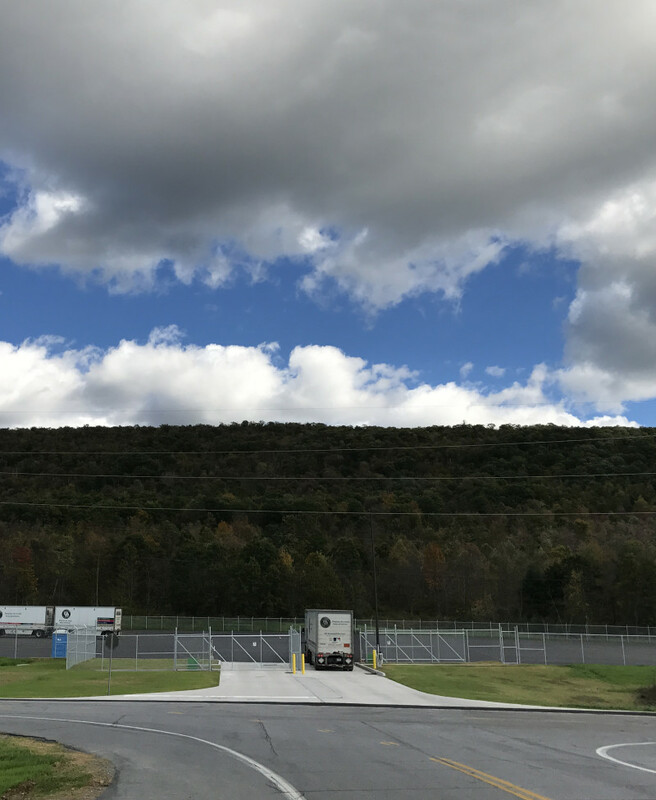 The drop lot consists of a 7 acre bituminous parking lot with 72 parking spaces for trucks pulling interstate semi- trailers, a security fence with an automated gate system, site lighting, and stormwater management facilities. In November 2015, Stiffler McGraw and Old Dominion Freight Line, Inc. of Thomasville, North Carolina began a working relationship. Phillip Danner the construction manager of Old Dominion Freight Line and Altoona native worked with Jim Young, our Chief of Surveys, and the staff of Stiffler McGraw on developing conceptual plans for a drop lot for several properties within Bedford County. Old Dominion Freight Line was looking for a site that was within close proximity of the Bedford exit of the Pennsylvania Turnpike to construct a drop lot which they will use to increase the efficiency of their freight hauling business across the State of Pennsylvania via the Pennsylvania Turnpike (I-70/76). Old Dominion Freight Line purchased the Smith Transport property in fall of 2016 and Stiffler McGraw began the site design which would be used to obtained state and municipal approvals needed for the construction of the drop lot. The property is located in East St. Clair Township, Bedford County near the St. Clairsville exit off Interstate 99. It’s approximately 7 miles north of the Bedford interchange area of the Pennsylvania Turnpike. The property was previously used as a waste site by contractors working on rehabilitation projects of Interstate 99. The massive amount of concrete pavement stored on the property was a major concern during the design phase of the project and discussions included crushing the concrete and using it as fill and hauling the concrete offsite. The grading of the site had indicated that an almost perfect cut/fill balance could be obtained so using the concrete as fill was not warranted. Hauling the concrete pavement to another property could be costly especially if a site could not be found within a reasonable distance. The decision was made to have Old Dominion Freight Line find a site as close to the project as they could and the contractor could break the concrete pavement into smaller pieces and haul it to that site. Burns Excavating and their sub-contractor Richard Curry Excavating of Duncansville decided that they were going to try and waste as much of the concrete pavement on a parcel of ground 1 acres in size located across the Township Road from the project site, also owned by Old Dominion Freight. With things moving along and smoothly, the entire amount of concrete was busted up into smaller pieces and buried on the 1 acre site. Stiffler McGraw completed the design and prepared land development plans in January of 2017 and submissions were made to the appropriate state and municipal agencies. The final approval came from the Pennsylvania Department of Transportation for the Highway Occupancy Permit in May of 2017. 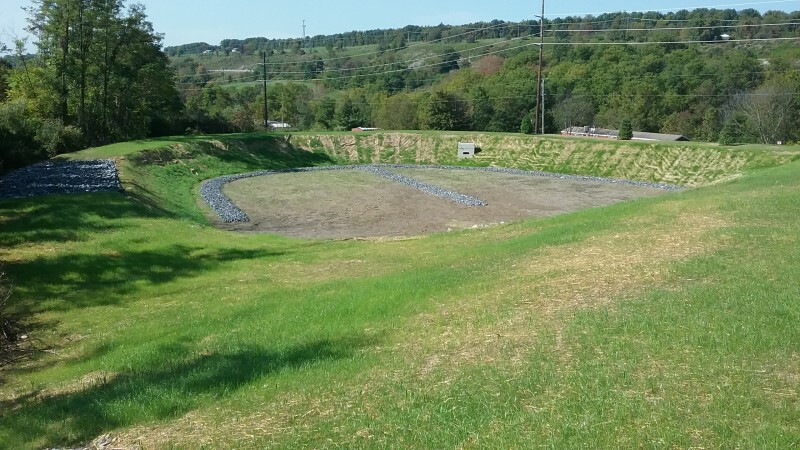 Burns Excavating of Altoona was the General Contractor chosen by Old Dominion Freight Line and construction of the drop lot began in June 2017. After final grading, top soiling and seeding the site is fully functioning and looks great!